The Minister for Culture, Heritage and the Gaeltacht, Josepha Madigan T.D. today launched her Department’s €200m Audio-visual Action Plan. The industry-wide, long-term plan, under the Creative Ireland Programme, will support the Government’s ambition to enable Ireland to become a global hub for the production of Film, TV drama and animation. • Consider extending Section 481 tax relief, as well as increasing the expenditure ceiling, revising the regulations and extending the relief to Ireland’s games sector. • A review by Screen Ireland of funding models for other countries’ film agencies. 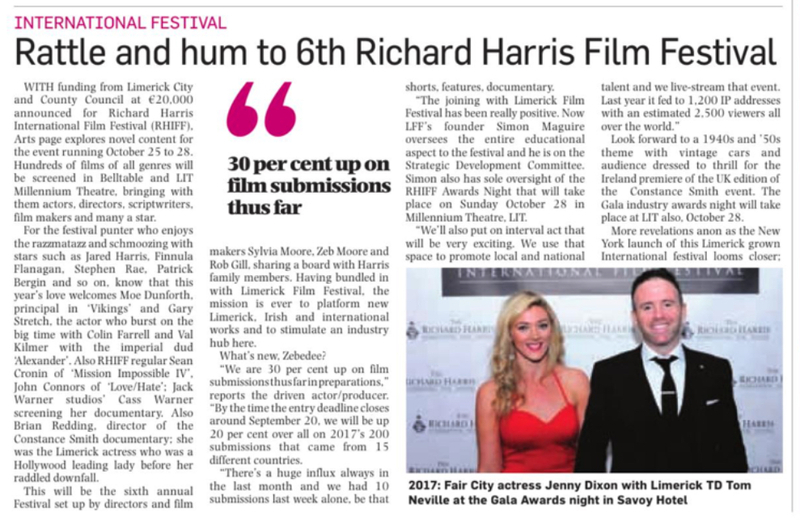 • Increased capital funding for the film sector including co-production and development funding, a specific fund for the development of films and TV drama, a fund for new Irish TV drama, a regional production fund and additional training of film workers and crew. • Increased business skills development, matching of skills with production growth and partnering with third level institutions in skills development. • Increased marketing measures including measures to attract major computer games studios to Ireland. • A steering group will prioritise measures, oversee implementation and monitor risks, reporting regularly to Minister Madigan. The Audiovisual Action Plan is underpinned by an Economic Assessment of the Audio-Visual Industry in Ireland carried out by international consultants Olsberg SPI with Nordicity on behalf of the Departments of Culture, Heritage and the Gaeltacht, Communications, Climate Action and Environment and Business, Enterprise and Innovation. As well as measuring the size and impact of the industry, the consultants identified a range of key strategic recommendations which would assist the future development and growth of the audiovisual sector in Ireland. The consultants concluded that with the implementation of their policy recommendations, Ireland’s “film, television and animation” sector could in a period of five years, double employment to over 24,000 full-time equivalents and a gross value added of nearly €1.4 billion. Fís Éireann/Screen Ireland (FÉ/SI) welcomes today’s publication by the Minister for Culture, Heritage and the Gaeltacht, Josepha Madigan T.D. of a €200m Audiovisual Action Plan. The industry-wide, long-term plan, under the Creative Ireland Programme, will support the Government’s ambition to enable Ireland to become a global hub for the production of Film, TV drama and animation. CAO Change of mind option! If you’re in the position of trying to decide on your 3rd level college options and have a passion for Film and Television or even just a keen interest, then this level 7/8 programme is a must. 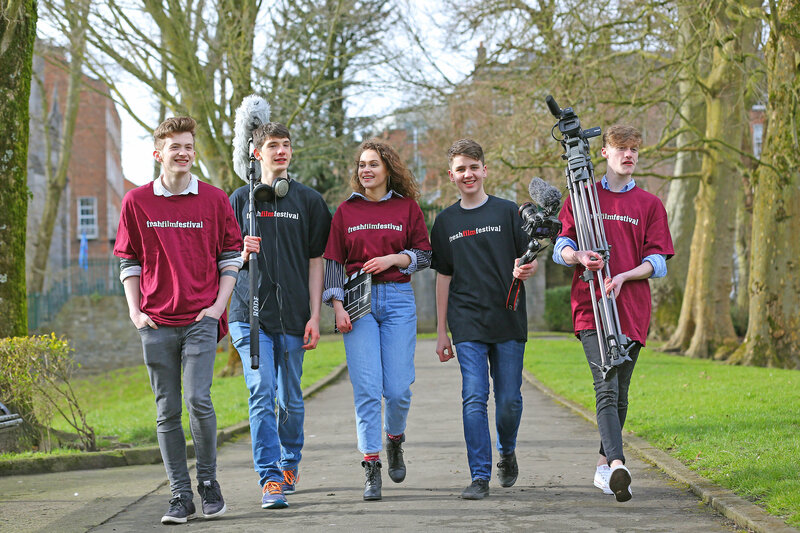 This skills-based programme offers students an exciting opportunity to explore the world of the broadcast media industry, covering a range of disciplines across Film & TV Production, Visual Effects, editing, radio, audio mixing, photography, as well as broadcast technologies across a range of new and traditional media platforms. Upon successful completion of this Level 7 programme, students progress to the Level 8 BSc (Honours) degree. We offer our students a range of prospects for both academic & career progression in the broadcast, film, creative media industries, as well as extensive hands-on production work experience. If you have a story to tell, we will show you how. • Participate in the Limerick International Film Festival (Hosted by the film production course). • Work in our state of the art Millennium Theatre on a range of live events, including the popular Awards Show for the Richard Harris International Film Festival. • Outstanding graduate employment opportunities in the Film & Broadcast industries. If you are interested in filmmaking and storytelling on screen, this programme aims to develop the practical creative and technical skills and knowledge you will need to succeed in the dynamic world of film and broadcast production across a range of screen platforms. 2. Practical, hands-on experience with Wired FM. 3. Industry-experienced lecturers who give you the thorough, hands-on and personal support you need to make the most of your education. For more info check out the full details HERE and make that change of mind to LIT. Cruinniú na nÓg is a national initiative rolled out as part of Creative Ireland Programme 2017 – 2022. It’s a day of culture and creativity for and by children and young people. It’s a day for doing, making and creating! 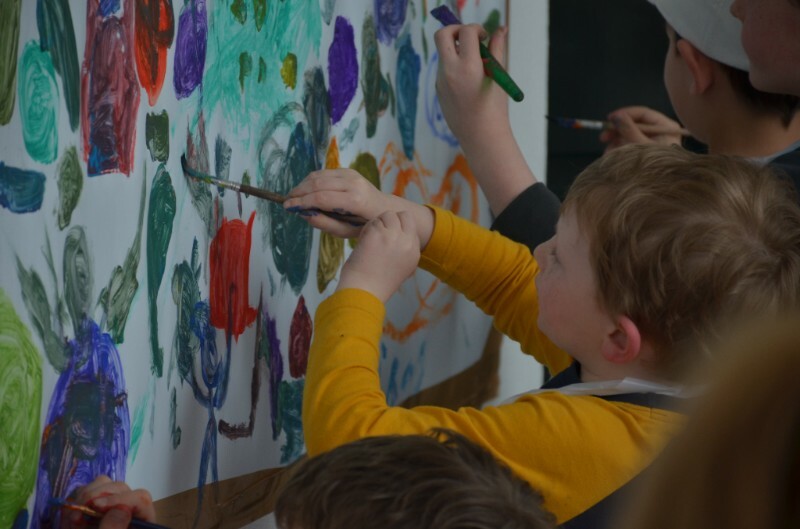 Limerick City and County Council in association with Fresh Film Festival, Limerick Youth Service, The Hunt Museum and Happenings, invites young people and children of Limerick to celebrate culture and creativity through the interdisciplinary and collaborative medium of film. 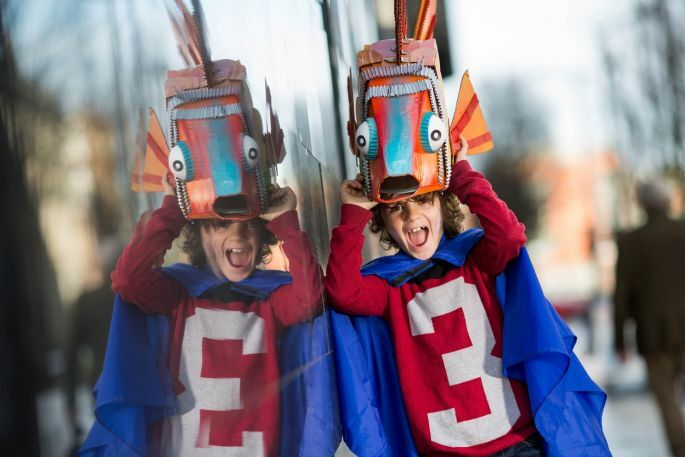 The programme of events spans across the city and county of Limerick, including film production workshops, arts and creativity workshops, screenings and a special highlight of the day, a Young Film Convention. Celebrate the wonderful world of film with a fun-filled day meeting other cineastes. Come dressed as your favourite movie character and take part in our parade of movie heroes. Try out a green screen, chat to Limerick’s young YouTube sensations, watch mini-screenings of movies for and by young people, or simply soak up the atmosphere. Bring your favourite model or build something new with 100kg of Lego provided by Bric Con Limerick! All young visitors must be supervised by guardians at all times. Enjoy outdoor movie screenings in the beautiful garden of The Hunt Museum with two family friendly feature films. Bring your own blanket and popcorn, and enjoy the classic titles: Jungle Book and Princess Bride. 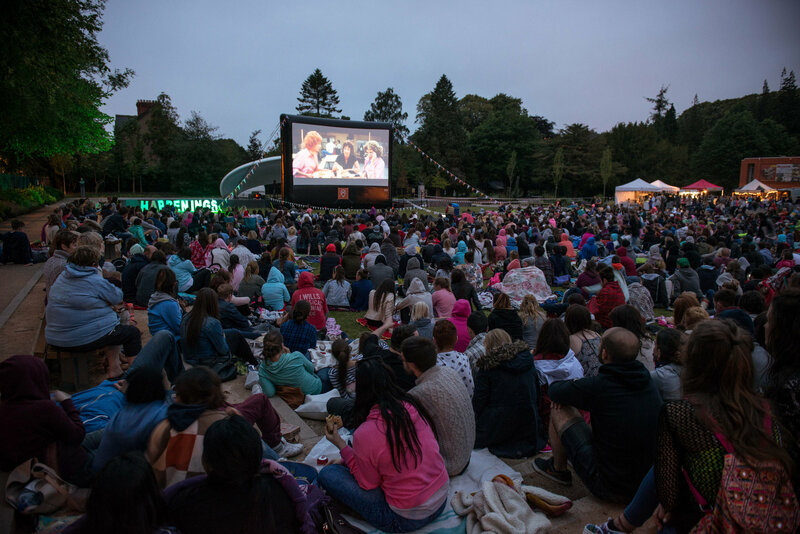 Movies in the Garden are presented in association with Happenings, Fresh Film Festival and The Hunt Museum. The event is free and no booking is required but places are limited; arrive early to avoid disappointment. All young visitors must be supervised by guardians at all times. Be a part of an animation crew and see your work on the big screen! Join one of The Hunt Museum’s claymation and stop motion workshops. The two workshops will take the Hunt Museum Summer Exhibition “Signals of Change” as a point of departure to produce a short animation. The stop motion animation will be brought together over the course of two workshops and presented to the public as part of an outdoor screening in The Hunt Museum Garden. Age and Time: 10am – 11.30am: 4 to 8 year olds, and 12.30pm – 2.30pm: for 9 to 12 year olds. On the day of Cruinniú na nÓg, young filmmakers across Limerick will engage with the practice of filmmaking and learn new skills to develop their ability to make movies. The workshops dedicated to developing dynamic camera skills and scene crafting will take place across Limerick led by local, professional filmmakers in association with Fresh Film Festival and Limerick Youth Service. Participants dive into film production with these intensive workshops in filmmaking exploring the process of taking an idea to a finished film. Four workshops will be held simultaneously in Kilfinane (11am – 2pm), Rathkeale (11am – 2pm), Abbeyfeale (11am – 2pm), and Limerick City (11am – 4pm). 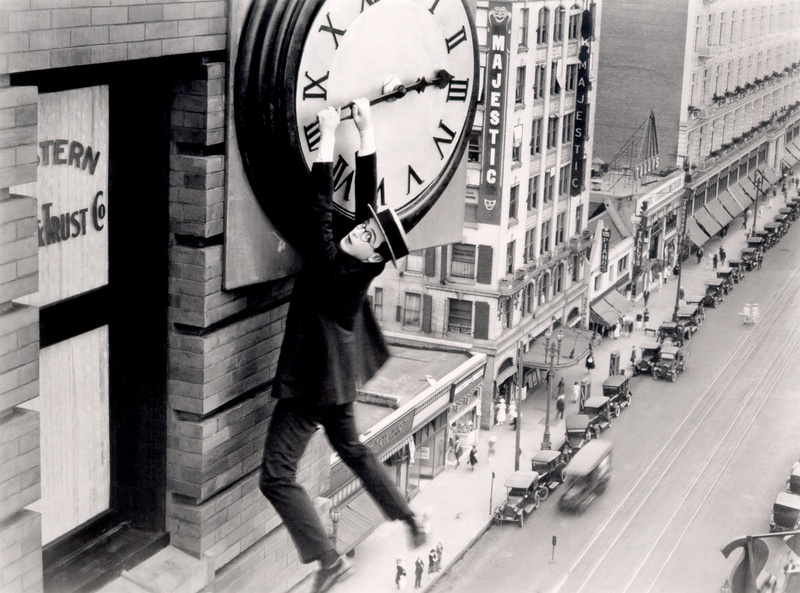 We invite our youngest citizens and their parents for a fun and relaxing morning at the local library with a special screening of the classic silent movie Safety Last! The screening will be followed by a colouring workshop. Visitors will be also invited to explore a display of books, that have been turned into films. Six Libraries in Limerick City and County will host this event. These will be The Granary Library, Watch House Cross Library, Newcastle West Library, Kilmallock Library, Dooradoyle Library and Adare Library. Please contact your local library for further information. Content as per press release from Limerick Cultural & Arts Office. Interested in accepting a Creative Broadcast & Film Production student on a short work experience placement? By taking students on work experience, you get an opportunity to engage, inspire, and inform future media professionals about what working life is really like. If your company might be interested in taking part please complete the work experience survey below, there are only six questions and it should only take you less than two minutes to complete. All information will be added to a database of prospective companies to be used exclusively for work placements for Creative Broadcast & Film Production students from September 2018 onwards. Below is a short video of a past graduate Andrew Phayer who currently works with Munster Rugby. Following on from yesterday’s ‘first look’ trailer release, we were delighted to have episode director of Nightflyers; Maggie Kiley, to give a talk to the Creative Broadcast & Film Production and Music Technology students at the Millennium Theatre this lunchtime. Giving her unique insight to film making, Maggie answered numerous questions from students and staff about her experience and previous award winning projects, not to mention her time on Nightflyers (without giving away any secrets). Nightflyers has released the first look trailer to its much anticipated series. Filmed in Troy Studios, Limerick, the crew is made up of many talented people, 30% of which is claimed to be local talent. The series is a production of NBC Universal and Universal Cable Productions and is adapted from the 1987 George RR Martin novella of the same name. Netflix will co-produce the series and will have first-run rights to the series outside of the US. It is due to air on the Syfy Channel in the US and on Netflix worldwide in the Autumn 2018. New to the CAO for 2018 is the Creative Broadcast & Film Production Level 8 programme based in the Moylish Campus of LIT. This practical based programme is over four years and includes modules across a range of departments of Broadcast and Film Production.